RT: How would you describe the Rouble’s performance in 2010 and what factors drove the Russian currency during the year? 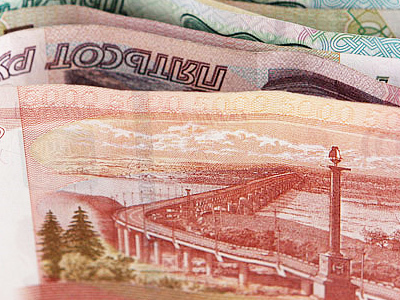 RT: What is the outlook for the rouble in 2011? RT: What impact is WTO accession likely to have on the rouble? RT: Russia is making moves to enable trading between the rouble and other currencies – starting with the Yuan – How significant is this likely to be, and what implications does it have for the rouble? RT: Inflation has been rising since mid year, what have been the driving factors? IC:“I think, that inflation was clearly, almost 100%, driven by the food price shock that was caused by this summer drought. If you look at the inflation outside the food sector, this stayed pretty much constant during the year, in other words, we didn’t have a significant spill over effect from the food prices to the non food prices. Going forward into 2011, I think, we’ll continue to see the impact of the food shock on the overall inflation. I think, that is going to be the case until May or June next year and in 2H of 2011 the headline CPI index will start to moderate and ease. And at the same time, I think, there’s a lot of pressure right now on the Central Bank to do something about it, in particular because 2011 is a pre election year and for the Russian authorities it’ll very important to keep any possible social unrest in check. And that’s why, I think, keeping inflation in control will be very important. RT: So, you think that the inflation was mostly driven by non monetary factors? RT: In terms of particular figures, what are they for inflation in 2010 and 2011?